** A ÁNGEL ANTÓN ANDRÉS, "IN MEMORIAM". ** A DON RICARDO FOMBUENA VIDAL, "IN MEMORIAM". ** A MAS DEL OLMO (ADEMUZ), POR SANTA BÁRBARA. ** ACERCA DEL PROYECTO "CAMPO DE GOLF" EN TORREBAJA (VALENCIA). ** ACERCA DEL VUELCO ELECTORAL ENTORREBAJA (VALENCIA). ** DANIEL APARICIO SÁNCHEZ, ORGANISTA DE TORREBAJA (VALENCIA). 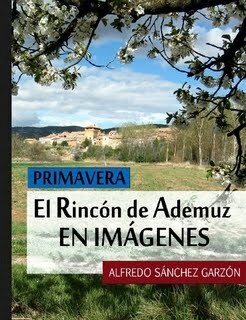 ** ¡DEJADME VIVIR!, ÚLTIMO LIBRO DE ENRIQUE GIL BAZÁN. ** DELITOS MENORES COMETIDOS EN LA HUERTA DE TORREBAJA (1953-54). ** DON ANTÓN CATALÁ CIVERA, DIRECTOR DE LA BANDA DE MÚSICA DE ADEMUZ (VALENCIA). ** DON BLAS MAÑES PALOMAR EN EL ISIMPOSIO "LA CRUZ DE LOS TRES REINOS" (ADEMUZ). ** DON CÉSAR-VICENTE SÁNCHEZ BLASCO, ALCALDE DE CASAS ALTAS (VALENCIA). ** DON JAIME RUIZ DE CASTELLBLANQUE (1596-1672), SEÑOR DE TORREBAJA (VALENCIA). ** DON JOAQUÍN VIDAL MUNÁRRIZ, UN CORONEL REPUBLICANO EN TORREBAJA (VALENCIA). ** DON JOSÉ ANTONIO DURÁ BATALLER, NUEVO CURA DE TORREBAJA (VALENCIA). ** DON OCTAVIO GÓMEZ LUIS, ALCALDE DE TORREBAJA (VALENCIA) [I]. ** DON OCTAVIO GÓMEZ LUIS, ALCALDE DE TORREBAJA (VALENCIA) [II]. ** DON OCTAVIO GÓMEZ LUIS, ALCALDE DE TORREBAJA (VALENCIA) [y III]. 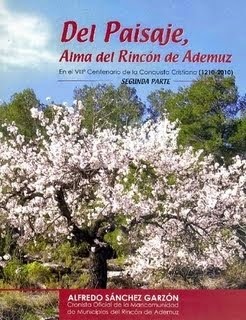 ** EL CAMINO DE LA "VERA CRUZ": DE PUENTE LA REINA A CARAVACA POR EL RINCÓN DE ADEMUZ. ** EL CEMENTERIO VIEJO DE “SANTA BÁRBARA” EN TORREBAJA (VALENCIA). ** EL CENSO ECLESIÁSTICO DE 1878 EN EL LUGAR DE TORREBAJA (VALENCIA). ** EL CORO INTERPARROQUIAL DEL RINCÓN DE ADEMUZ EN EL LIV SEPTENARIO DE MOYA. ** EL CORO INTERPARROQUIAL Y LA BANDA DE MÚSICA DE ADEMUZ (VALENCIA). ** EL INSTITUTO DIOCESANO DECIENCIAS RELIGIOSAS (IDCR), SEDE DE ADEMUZ. ** EL TORREÓN DE TORREALTA (TORREBAJA). ** FIESTAS PATRONALES "VERSUS" FIESTAS CULTURALES. ** FLORES PARA MARÍA, LA VIRGEN DETEJEDA. ** FRANCISCO PROVENCIO GARRIDO, NATURAL Y VECINO DE TORREALTA (TORREBAJA). ** FRAY SIMPLICIANO, FRANCISCANO LEGO DE TERUEL. ** ICONOGRAFIA FUNERARIA EN EL CEMENTERIO DE TORREBAJA (VALENCIA) [I]. ** ICONOGRAFIA FUNERARIA EN EL CEMENTERIO DE TORREBAJA (VALENCIA) [y II]. ** JOSÉ CARRASQUER ZAMORA Y LOS COMIENZOS DE LA INDUSTRIA ELÉCTRICA EN TERUEL Y CASTIELFABIB. ** LA "FUENTE DE LOS POBRES" EN TORREBAJA, UN RECESO EN EL CAMINO REAL. ** LA CAJA DE PANDORA: ACERCA DEL VUELCO ELECTORAL EN TORREBAJA (VALENCIA). ** LA CASA GRANDE Y EL TORREÓN DE LOS PICOS DE TORREBAJA (VALENCIA). ** LA PLAZA DE TORREBAJA (VALENCIA),EN MI INFANCIA. ** LAS ELECCIONES GENERALES DEL 20-N 2011 EN EL RINCÓN DE ADEMUZ. ** JULIÁN MARTÍNEZ VIALANAIT, (a) “EL FRANCÉS”. ** LAS PIEDRAS DEL CONVENTO DE SAN GUILLERMO EN CASTIELFABIB (VALENCIA). ** NUEVAS PINTURAS EN EL PRESBITERIO DE LA PARROQUIAL DE TORREBAJA (VALENCIA). 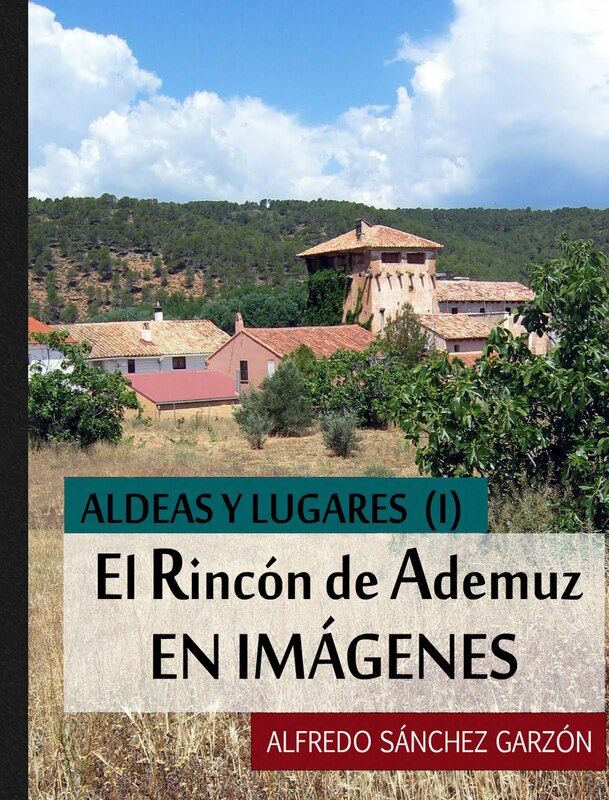 ** PATRIMONIO CULTURAL Y RELIGIOSO EN TORREBAJA: LOS CASILICIOS O PILONES DEL CAMINO REAL. ** VISITA GUIADA A LAS TRINCHERAS DE LA LOMA EN TORREBAJA (VALENCIA). ** VISITA GUIADA A LOS “HORNOS DE YESO” DE LA DEHESA DE LOS TERREROS (ADEMUZ). ** VISITA GUIADA AL CEMENTERIO MUNICIPAL DE TORREBAJA (VALENCIA). ** “VIVO Y ESCRIBO, MIS MEMORIAS”, LIBRO PÓSTUMO DE RICARDO FOMBUENA. ** LAS NAVIDADES DE MI INFANCIA EN TORREBAJA (VALENCIA).